We love South Australia, with it’s beautiful picturesque views and diverse locations. When it comes to high quality wedding photos, you can’t go past GAP. Residing in Adelaide, South Australia, GAP has earned a distinguished reputation in the wedding industry. 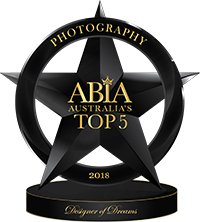 Already awarded Wedding Photographer South Australia of the year 2014 & 2016, their goal is to deliver the best experiences and results in Wedding Photography Adelaide as well as the rest of South Australia. GAP prides itself on working with a vast amount of experts in their field, from photographers to editors, to make sure that your special day has only the best angles, lighting and framing. With a natural talent for storytelling, and almost a decade of experience GAP is looking to expand their South Australian office and expand their Wedding Photography Adelaide expertise to Darwin, Alice Springs and beyond. We are extremely passionate and experienced wedding photographers in Adelaide. GAP produces photo journalistic wedding photographs that truly reflect the beauty of the day. Our wedding photography service in Adelaide is not all about the photos. It’s about capturing special moments and emotions and immortalising them forever to share with future generations. The team offer a range of affordable packages, with full unlimited coverage. There is also the opportunity to have a second Adelaide wedding photographer . There are an extensive array of wedding photography packages to choose from, as well as engagement sessions and parties. Beach Wedding Photography Package includes all day wedding photography coverage on your wedding day & Photo Album. What sets us apart from other wedding photographers in Adelaide? Their mission, as well as making sure the most important moments of your big day is captured perfectly, GAP is part of the new breed of wedding photography Adelaide concerned with catching peoples natural beauty in a fun and relaxing manner. We love to produce images for couples, proud to call Fine Art. Weddings can be huge event, and we’re not going to lie, can put a large amount of stress on the bridal party, which is why GAP likes to make sure you are absolutely taken care of. Not only does GAP offer unlimited photo packages and preparation to midnight care, but we also make sure your wishes and requests are both respected and managed well. It is a privilege to work with a couple on one of their biggest days of their lives. From the pre-wedding nerves and excitement before the ceremony, the hour or two immediately after the ceremony and then capturing the fun of the reception. Then feeling like part of the family after capturing this momentous occasion. GAP covers all areas of SA from Adelaide to the winery regions and metropolitan beaches. He also covers all regional areas of the Fleurieu Peninsula, Eyre Peninsula, York Peninsular, Flinders Ranges, Kangaroo Island, Limestone Coast, Murray River and the Outback. Also available for International weddings. to hire us as your wedding photographer.